Cheryl, I’m impressed that you could read the book through to the end! Wow! I, on the other hand, have just finished reading two kids books. I mentioned to my class while we were in the school library that I needed to get myself a book for the holidays and one of the girls raced off and grabbed a “truly excellent book” for me to read. So I did and it was a sweet little book about a girl who helped other kids make friends! The other book is the class novel for this term. (It was the only box left when I went to borrow.) It’s the first book in a trilogy and I needed to read it to prepare a Literature Study for the class. So, there you are, you read a deeply adult novel and I read a couple of kids books! The last children’s book series I read was “A Series of Unfortunate Events.” Sounds like I’m the problem here, don’t you think? I am a fan of Aussie author Marcus Zusak, who wrote the quite amazing YA book “The Book Thief.” We’re looking for new books for Jake (who insists he’s already read everything at the library), and Zusak’s got a trilogy out about three brothers. I think that’s next on the hit parade (right after the stolen identity/murder mystery that I’m reading for book club). Guess you didn’t like it! I won’t even ask if you want to read the sequel!!! You know, I’m not sure. I might want to read it because I bet it sheds a lot of light on that period in Chinese history. Believe it or not, I was reading about Jackie Chan a couple of months ago, and his career in China (he trained as an acrobat) was pretty much derailed by the cultural revolution. I really don’t know much about that period. Fiction is a nice way to learn about history, isn’t it? I’ve seen the author speak and she is amazing. Her depth of knowledge about things most Americans know nothing about is quite incredible, and the depth she goes to research her work is also impressive. The stories she writes about are based on family history, real life events. I have this book but have not read it yet. I did read Peony In Love and fell in love with it, perhaps because I studied Chinese history. Books are not for everyone, but the stories behind her stories are worth finding out about, and knowing. Books are about more than characters and whether they are redeemed – they are about events, stories, and sometimes the awful things that make up both. Hey there–thanks for visiting my blog. You know, I do find myself in the minority when it comes to Lisa See’s work. I believe that you are part of the overwhelming majority of people who are quite taken with her work. I completely respect that. I really do. First of all, there’s no arguing with preference. Second, you are absolutely right that the history her work unpacks is worth reading and thinking about. 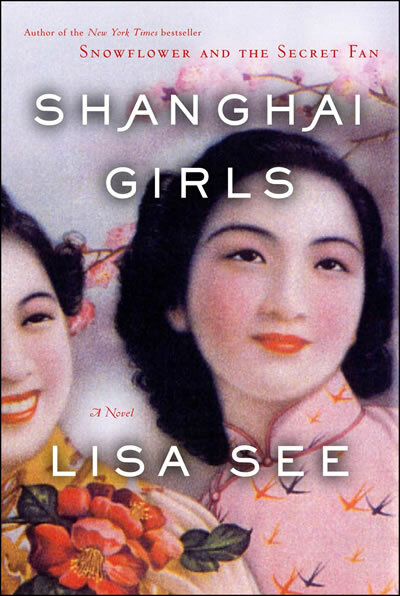 I find that I in the past several years, I’ve enjoyed most books, but particularly disliked Shanghai Girls, Peony in Love, and Pillars of the Earth (not by See, of course). I’ve reflected on the source of that dislike and find that trudging through tragedy is tough for me. It’s not that everything I read has to be light and lovely–I do enjoy many books about hard issues. Still, I prefer a treatment that allows in some riays of light, such as in the WWII/holocaust story The Book Thief, by Marcus Zusak (mentioned in my comment above). I enjoyed the very quirky book Middlesex, also about challenging and strange issues. I also very much liked A Thousand Splendid Suns and The Kite Runner (both by Khaled Hosseini). Challenging, challenging stories, but with sporadic rays of sunshine. Where I see no hope in a story, I find it hard to carry on. But that’s just me. I am interested, reading your comment, in what YOU are reading now. Any recommendations?